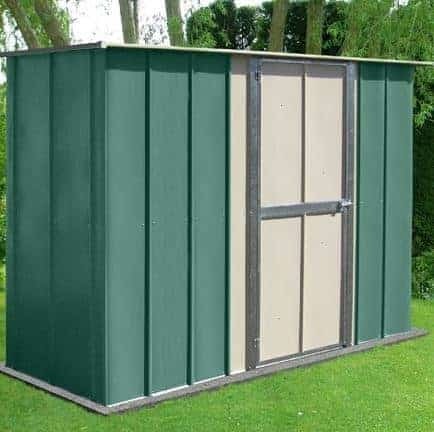 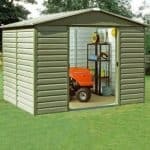 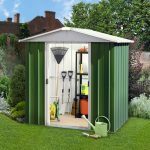 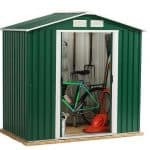 This metal shed with a flat roof is incredibly useful and a great addition to any garden’s storage. 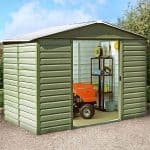 The galvanised steel construction ensures that the building is rustproof, and to back this up the company has created a 20-year anti-rust guarantee. 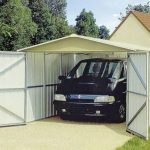 The 8 x 3 building is covered throughout by high tensile steel, and has high walls inside for plenty of room for those taller tools and equipment. 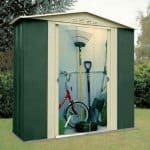 The shed is also resistant to rot and has protection against rodents too.